As beautiful as it may be, Azsuna is far from idyllic. Once just another shining star in the kaldorei empire, it was forever changed during the War of the Ancients. Most recollections from the War speak of Tyrande Whisperwind and the brothers Stormrage. All three were integral to Azshara and the Legion’s eventual defeat, but they weren’t the only dissenters. Azshara’s Highborne may have been her chosen beloved, but not all of them agreed with her actions. And although the name Highborne is typically associated with Azshara’s loyalists, there were those among the Highborne who were unwilling to go along with her decisions. Some managed to escape, some hid away…and some paid for their dissent with their lives. In the case of Prince Farondis, it was more than merely his own life he threw away. Prince Farondis wasn’t just a Highborne — he was one of Queen Azshara’s most trusted advisors. Their relation, however, was a distant one. 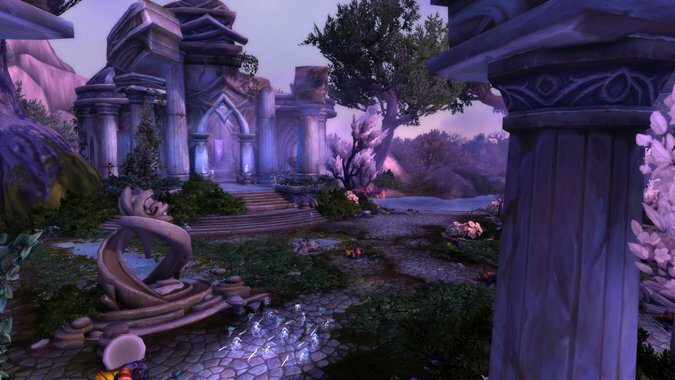 Farondis’ palace was in Azsuna, far from the elven capital of Zin-Azshari. It was that physical distance that allowed him to see what was really going on behind the walls of the capital city. 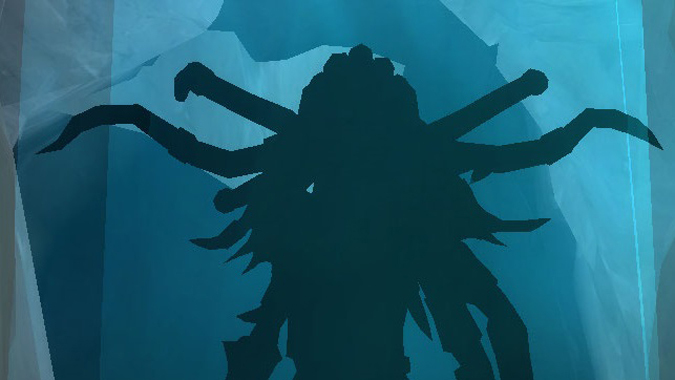 Queen Azshara’s plan was relatively simple — ally with the Burning Legion, craft a way for them to enter the world, and allow them to cleanse it. Rid the world of the lesser races, leaving her with only those most loyal and favored. A world re-crafted to suit her vision, a reflection of her own perfection. But as word spread of the Burning Legion’s rampant destruction, it eventually reached Azsuna. Removed as he was from the inner court, Farondis was able to see Sargeras’ influence on the Highborne without succumbing to the temptation himself. Horrified by Queen Azshara’s actions, Farondis set out on a plan to stop the Legion’s encroach. He wanted to destroy the Well of Eternity. To accomplish this, he intended to use the Tidestone of Golganneth, one of the Pillars of Creation. Unfortunately, there were those in Farondis’ court who were far more loyal to Azshara than anyone could’ve guessed. One of these, a noble named Vandros, caught wind of Farondis’ plan. Unwilling to betray the beloved queen of the kaldorei, he relayed the plan directly to Azshara. Furious, Azshara immediately set out to punish Farondis and his people for their disloyalty. In her fury, she used her tremendous arcane power to destroy the Tidestone of Golganneth, shattering it into pieces. Its destruction caused a wave of dark energy to wash over all of Azsuna. Many kaldorei died in the War of the Ancients. In Azsuna, death was anything but a release. The dark energy Azshara unleashed guaranteed that none of Azsuna’s residents would ever experience the release of death. Instead, they would wander the land eternally. Guilt-stricken, Farondis continued on as a Prince — but he’d lost the respect and faith of his people. Bitter words and scorn followed every spectral step, a reminder that he’d not only sacrificed himself — he’d sacrificed his kingdom, and everyone in it. And really, who could blame them for their animosity? What does one do, when one can’t pass on? Day after day of seeing the same scenery, living the same life. Of course the kaldorei became immortal after the War of the Ancients and the creation of Nordrassil. But that was a different kind of eternity — one in which they were very much alive. For Azsuna’s residents, all it meant was that they were destined to remain, incorporeal and immaterial, chained to a world which they could no longer affect. There was no joy in it. By the time we reach its shores, Azsuna’s residents have spent far, far more time dead than alive. The land is a mystery — we’d never really heard of it before Legion. History often relates the tale of Malfurion’s decision to destroy the Well of Eternity. It’s lauded as a bold move that yes, sundered the world. But at the same time, the move saved that same world from destruction at the Legion’s hands. History doesn’t say anything about Prince Farondis, the Highborne who came up with the plan first — and bore the brunt of Azshara’s wrath as a result. Farondis wasn’t the only once-loyal Highborne to recognize the evils the Burning Legion presented. The Highborne arcanists of the Mennar Academy exercised caution when it came to the Well of Eternity. When the War of the Ancients ramped up in earnest, they refused to fall back, instead barricading themselves behind arcane barriers. It wasn’t enough to withstand the full onslaught of the Burning Legion, however. Mennar Academy and its residents were summarily wiped out. In Suramar, a group of resident Highborne fought against Queen Azshara as well. 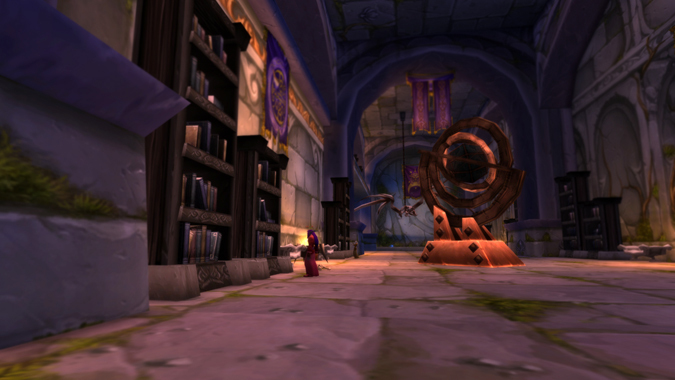 During the War, an attempt was made to open a second Legion portal in the Temple of Elune. The Highborne thwarted the Legion plot using the Pillars of Creation, and they sealed the temple from further attempts. 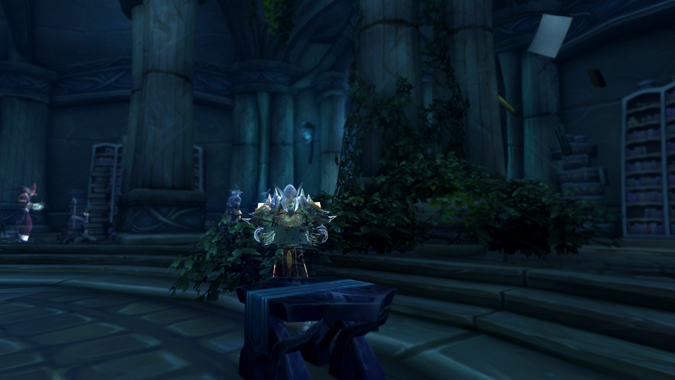 During the Sundering, the Highborne threw up a shield to keep a portion of the once-vast city together. For ten thousand years it endured, undiscovered and safe behind that magical wall. In the southern reaches of Kalimdor, a group of Highborne loyalists called the Shen’dralar lived on in relative solitude. Once favored arcanists of Azshara, they too were put on the defense during the War of the Ancients, forced to defend the city of Eldre’Thalas against the Burning Legion. Left to their own devices once the Well of Eternity was destroyed, they fell into a deep lethargy. Unfortunately, Prince Tortheldrin decided siphoning demonic power was the best way to combat it. His methods ended up doing more harm to the Shen’dralar than good. However, there are those among the Shen’dralar that recognize the mistakes made, and have even rejoined kaldorei society. The residents of Azsuna weren’t so lucky. Doomed to wander the land in a place between life and death, they were forced to continue on. In Legion, we’re after the Pillars of Creation — which means we need the Tidestone of Golganneth, in pieces or no. We witness Farondis’ poor reputation at work; hear the voices of Azsuna’s citizens mocking him with scorning derision. And despite the harsh words and whispers, Farondis continues to help us. And when he comes face to face with Azshara once again, she offers to release his people — but only if he swears fealty to her. It’s tempting, perhaps — but he turns his wrath on Azshara and swears that his people will never bow to her. The reason his people suffer isn’t his fault. It’s never been his fault. Farondis wasn’t the one who destroyed the Tidestone, it was Azshara. She was the one who meted out that punishment. All he wanted to do was stop the Burning Legion from wrecking the world. Thankfully, his people come around to his side after seeing how he stands up to Azshara. And although the former queen of the kaldorei made off with the Tidestone, he points the way for adventurers to go and retrieve it. It took ten thousand years, but the people of Azsuna finally came around. They linger still — but perhaps not for long. Farondis is working on a way to free his people from their curse of undeath. It might seem a grim task, but in truth, it’s a blessing to these ancient echoes of the past. 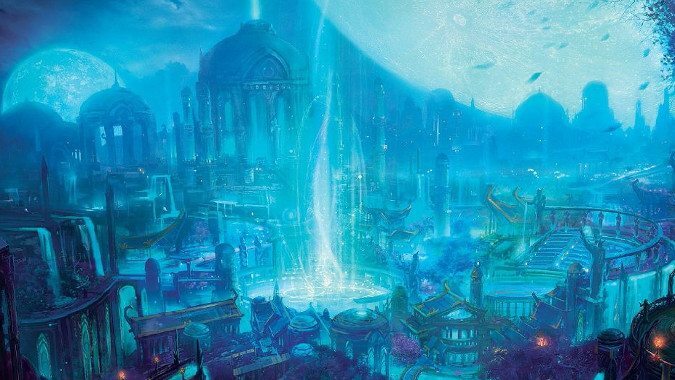 The time of ancient kaldorei civilization is long over…and if Azsuna’s prince has his way, its people will move on from their ethereal chains into whatever lays beyond. Not quite a happily ever after, but a satisfying end nonetheless.